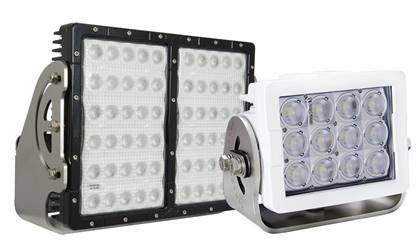 IMTRA, the leading manufacturer and importer of quality marine and commercial products, announced today the release of the Offshore and PitMaster series LED deck lights engineered and manufactured by Vision X for the recreational and commercial marine markets. The new lights provide superior illumination with durability and reliability that is ideal for offshore watercraft, oil platforms, shoreline industrial complexes and shipyards. The new Offshore series LED deck lights are available from 3,300 to over 11,000 effective lumens, while the PitMaster series lights are available in models providing 11,000 to over 22,000 effective lumens. Both series are offered in a selection of beam patterns – from narrow beam and extra wide floods, to elliptical patterns – for projecting light exactly where it is needed and away from where it is not. IMTRA offers customized engineered solution services with 3D vessel modeling and deck lighting simulation to design a precise coverage map for its customers. All models are offered in white or black vibration dampened and shockproof anodized 6061 die-cast aluminum housings with an exclusive marine-grade Interpon 810 Polyester TGIC-free powder coating for the highest weatherability under the most extreme conditions. The units also feature a durable impact and UV resistant PCB lens; meet CE, ROHS, and IEC safety standards; and are IP68/IP69K rated for submersion to 3 meters and up to 100 bar high-pressure spray. The PitMaster series also meet UL standards. A patented Prime Drive electronic thermal management system prolongs LED and component life, and prevents LED color shifting, while the isolated copper circuit-board and reverse polarity protection defends installations from short circuits and electrical damage from stray current. The units are designed to produce a consistent lumen output throughout a temperature range of -40 degrees to over 185 degrees Fahrenheit. For information on the new Offshore and PitMaster series LED deck lights, visit www.imtra.com/offshore-pitmaster-led-deck-lights.htm. 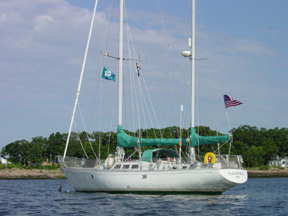 For information about IMTRA and its entire product line, please call 508-995-7000 or visit www.imtra.com.